We’ll start this week with a letter from one of my regular readers and contributors who starts off mentioning my rant last week about how the banks and police deal with credit card fraud.This was an extremely popular feature, with random people literally walking in my shop, shouting ‘good on ya!’ and then walking out again.For those that missed my rant following the poor handling of the situation by my bank when my card details were compromised check out www.computerarticles.co.uk. I’ll hand over now to Ian MacMillan who makes some interesting points about wireless security. It was interesting to read your rant about credit card security in this Friday’s Click.Recently there has also been quite a fuss about wireless network security. Nowadays routers are becoming very affordable and most new laptop computers are already equipped with wireless networking cards – This brings with it some risks.Recently the police in Redditch, Worcestershire cautioned two people after they were found hacking into insecure wireless networks. If someone gains access to your wireless network they can potentially retrieve sensitive personal information off your computer, delete files, use up your Internet bandwidth allowance or even use your connection for a whole number of illegal activities on the Internet which will be pinned to your IP address. All of this can be prevented by setting up a password on your wireless network, but surveys show that up to 60% of users have not done this.When new, most routers either have no password set up or a standard password such as admin which is easily guessed. There are products like McAfee Wireless Home Security but these are not free and the best thing to do first is to look at the instruction manual of the router to find out how to set up a password.Whilst the range of a typical home wireless network is no more than a few hundred feet, this still gives potential for misuse. The points raised by Ian are very genuine and password protecting a wireless network should always be your first priority when setting one up in your home or workplace.I more than anyone am aware of the importance of doing this as I know of several people who obtain free Internet, simply because their neighbours haven’t bothered password protecting their routers.Although they would not dream of doing so, should these individuals wish, they could quite easily access their neighbours’ hard drive through the wireless router or, as Ian mentioned use their connection for illegal activities.I am also aware of instances of fraudsters literally driving round towns and cities with a laptop in hand looking for unsecured wireless networks in the hope that they can gain access to sensitive information. –Going to an IP address specified in the manual by using your usual Internet browser.For example, you may be required an IP address in the address bar such as 192.168.0.1 rather than the website addresses you’re used to entering. –Enter the default user name and password as specified by the manual. –Head to the security tab and enter a passphrase that will then be automatically translated to a secure wireless key which you should make a note of. –Save the new settings and shut down your browser. –Try connecting to your network using any of the wireless machines you have in your home and when prompted enter the new wireless key.Windows will save this key and you won’t have to enter it again. 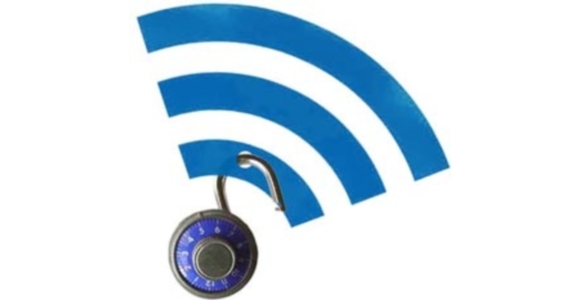 That’s it; your wireless network is now secure.I think many readers would be surprised to know that anyone with a wireless laptop could potentially access to their network and as a result should take two minutes to ensure they are protected.